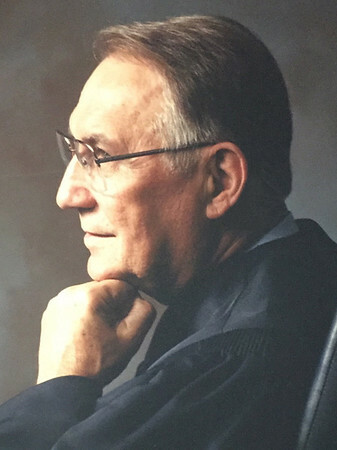 Judge Julius J. Kremski, 99, of New Britain, Conn., died peacefully on Tuesday, Oct. 23, 2018. He was the beloved husband of Clara (Szubzda) Kremski, who predeceased him in 2013. Born April 12, 1919, in Collinsville, Conn., to Chester and Izabella (Ulatowski) Kremski, he was raised in the Plantsville section of Southington and attended local schools. He joined the United States Navy on Dec. 31, 1941, and served in the U.S. Pacific Fleet during World War II. He was honorably discharged on Oct. 21, 1945. He went on to study at the University of Connecticut and graduated from the University of Connecticut School of Law. Julius began his law career in private practice. He served as Mayor of New Britain from 1960 to 1962. In 1966, he was appointed Workers’ Compensation Commissioner for the Sixth District. In 1977, Julius was appointed a Judge of the Superior Court, retiring in 2014. Throughout his active working years, he demonstrated his commitment to public service, volunteering his time to several not-for-profit organizations. He was a lifelong avid reader. Julius was a member of Sacred Heart Church in New Britain. He is survived by his son, Gregory and his wife, Constance of New Hartford; his two granddaughters, Kathryn and her husband, Adam Howard of New Britain; and Kira Kremski of Union, Ky.; and two great-granddaughters, Harper Howard and Hayden Howard, both of New Britain. In addition to his wife and parents, he was predeceased by his siblings Marian Fesiak, Jean Davies, Natalie Piccoli, Raymond Kremski, Maxim Kremski, and Theodore Kremski. He is survived by several nieces and nephews. Relatives and friends are invited to call on Thursday, Nov. 1 from 4 to 8 p.m., at Burritt Hill Funeral Home, 332 Burritt St., New Britain. His funeral service will begin on Friday, Nov. 2 at 9:15 a.m. at Burritt Hill, followed by a Mass of Christian Burial at 10:15 a.m. at Sacred Heart Church, New Britain. He will be laid to rest with military honors beside his wife at Sacred Heart Cemetery. Memorial donations may be made to Sacred Heart Church, 158 Broad St., New Britain, CT 06053, or to the Jerome Home, 975 Corbin Ave., New Britain, CT 06052. The family would like to thank the dedicated professionals who cared for him at the Jerome Home. To share a memory with his family, please visit us at www.burritthill.com . Posted in New Britain Herald, on Friday, 26 October 2018 18:48. Updated: Friday, 26 October 2018 18:51.